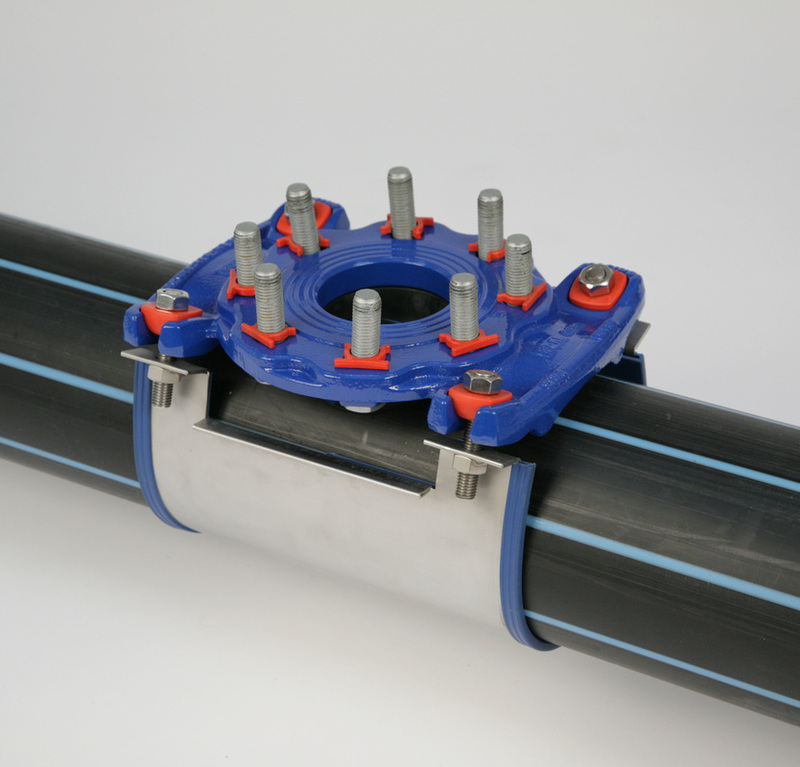 Slimline Q-Tee - CASCADE PLC - The new home of Cascade Clamps UK Ltd, Suppliers and Manufacturers of pipe fittings to the water & gas industry. The Slimline Q-Tee is a slimmer version of the standard Q-Tee without the neck and the isolation blade, this keeps the profile small and allows for use with a valve. 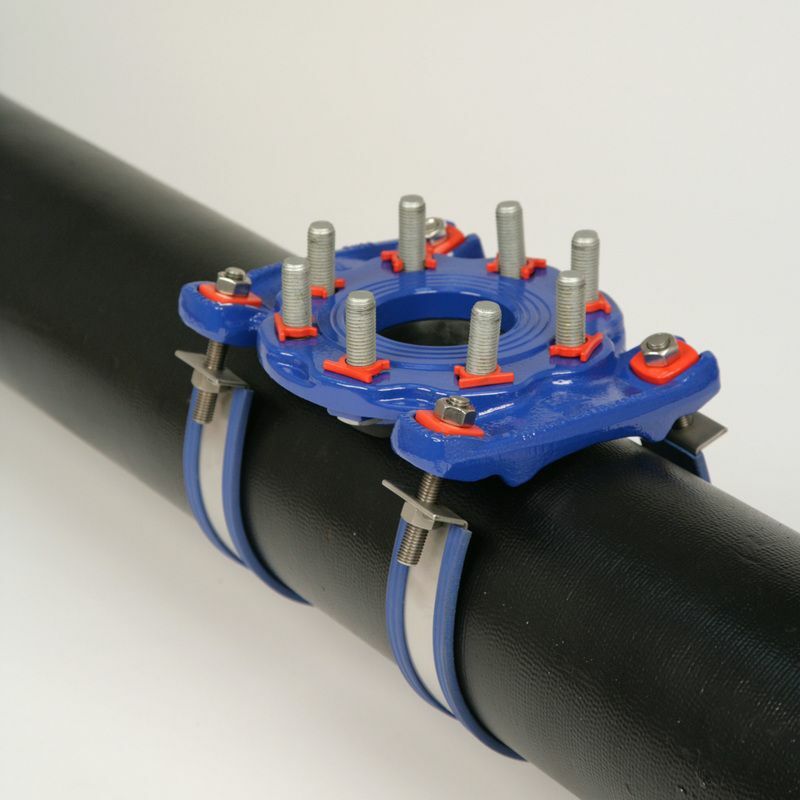 Installation is as simple a standard Q-Tee with added ease of clips to hold the bolts in place while connecting the valve. (as visible in the picture). This Slimline Q-Tee is ideal for any environment where space is limited and is a fraction of the cost of a traditional Under Pressure Tee, even with a valve connected the profile will still be shallower than that of a standard Tee. Please see our downloadable E-Brochure for Specs and application. For the standard Q-Tee Saddle click the button below.